Well, I’ve been working hard on some new designs, and here they are! I’ve been making a lot of beads, after finding some very delicate-textured lace in an antique shop (it is seriously old and falling apart, so these may be limited edition designs!). 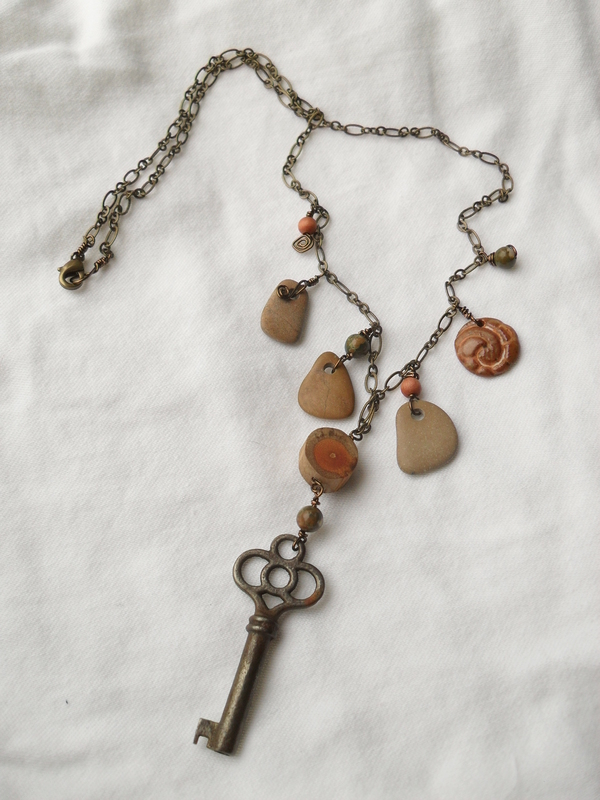 I’ve planned on branching out into making necklaces for a while, seeing possibilities in lots of natural and vintage objects going with my ceramic beads, and have been gathering parts gradually–stones, wood, old keys, watch gears, and semi-precious stone beads. I’m loving how the jewelry is starting to turn out! I just debuted the necklaces at the Green With Indie Craft Show in St. Louis this past weekend, and I’ll be posting them in my Etsy shop as I get the chance. Prices for finished necklaces run from $40-50. 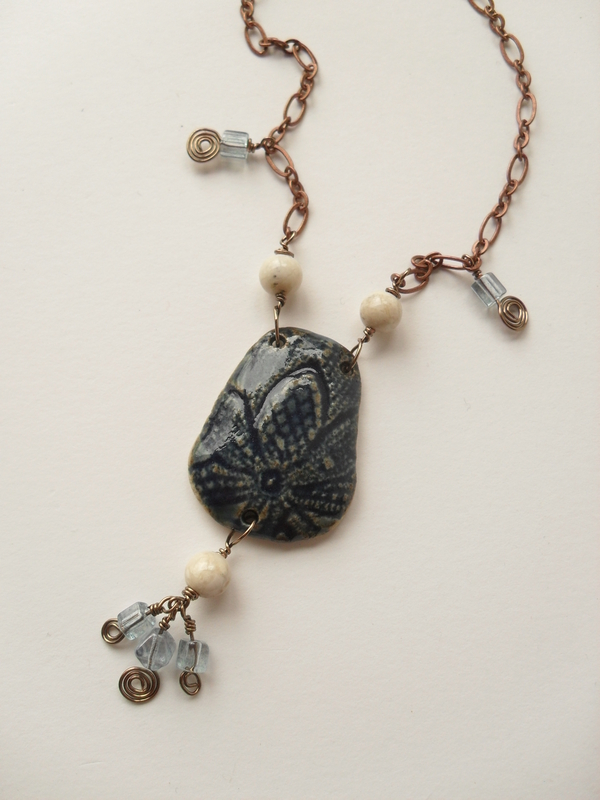 This entry was posted in Uncategorized and tagged ceramic beads, ceramic glazes, fashion, finished necklaces, found object jewelry, found objects, lace textured ceramics, repurposed craft, repurposing old lace, repurposing vintage doilies, semi precious stone beads, wire jewelry. Bookmark the permalink. These are so beautiful. What a wonderful complement to your collection. I will need to have one of these at some point!